The Stevens Pass Springfest 2019 is the final party for the season. Create a dummy and throw it down the mountain, ending in a jump of destruction! Dummy will be judged on creativity, distance and staying intact. Try your hand at tossing a rubber duck (or 50!) into a target in the pond – the first five folks who land a duck in the target will win a 2017-18 winter season pass! Purchase your rubber duck(s) at the Outdoors for All tent in the plaza – all proceeds benefit Outdoors for All. $5 for one duck or five for $20 to raise money for Outdoors For All and your chance to win a season pass. Think you can make it across our 70-foot long pond on your skis or snowboard? There’s only one way to find out! 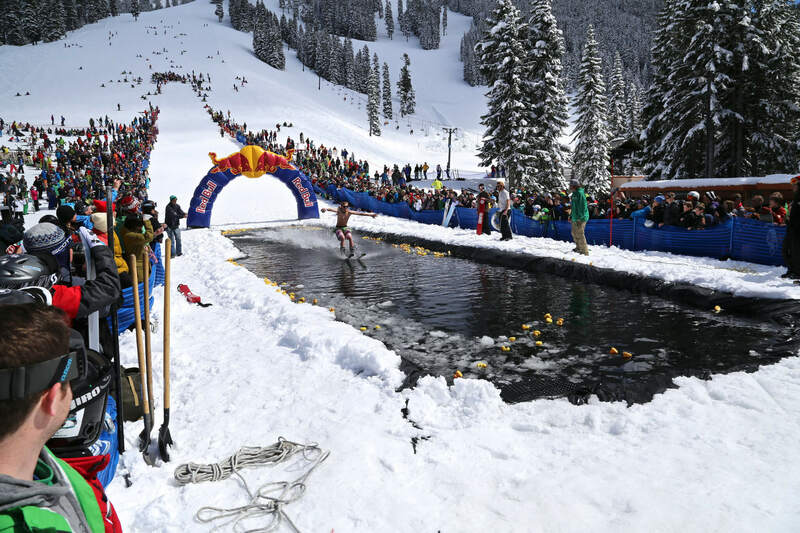 $20 to register for the pond skim – register at Guest Relations. A waiver is required to participate – sign at Guest Relations when you register.